Gas-powered lawn mowers and lawn equipment contribute to nearly 10 percent of the Denver area’s ozone pre-cursor emissions. By switching to an eco-friendly electric lawn mower and lawn and electric lawn and garden tools, you can make a positive impact on our air quality and health for years to come. 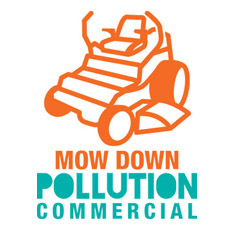 The RAQC’s Mow Down Pollution – Commercial program is aimed at encouraging and incentivizing public agencies and their contractors to purchase low emission, commercial grade, lawn and garden equipment, including battery electric equipment and mowers and propane mowers.